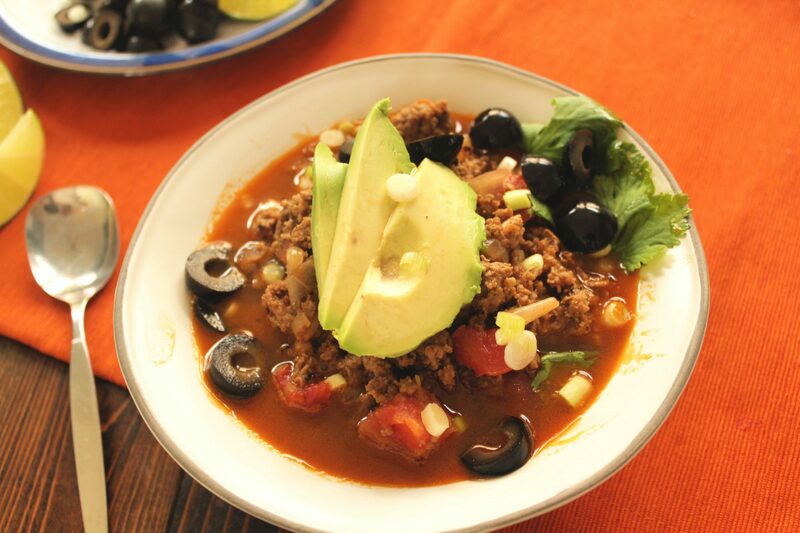 This taco soup is delicious and combines all your favorite taco flavors into a soup form! With sliced olives, avocado, and green onions, you won’t miss the dairy at all! The Instant Pot and stew meat are a match made in heaven. 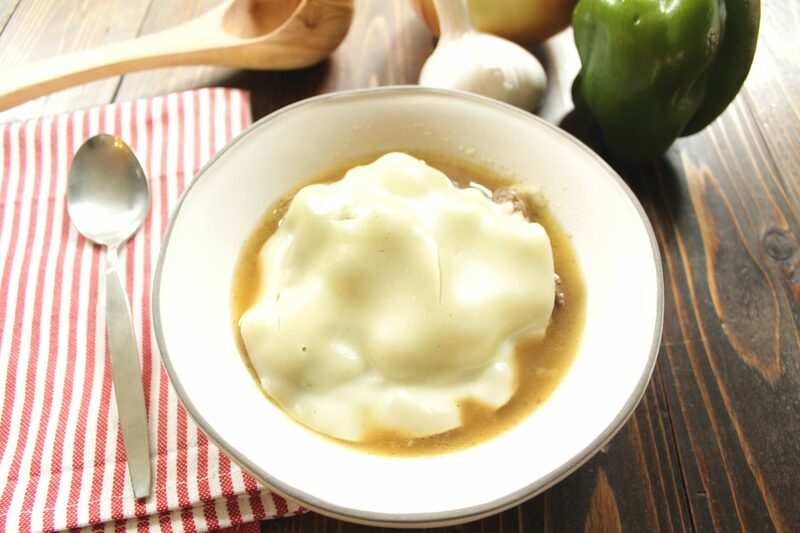 The high pressure quickly transforms even a block of frozen stew meat into tender flavorful melt-in-your-mouth goodness. If you are on a beef subscription program like I am, you may have accumulated a few blocks of stew meat in your freezer, unsure about what to do with them. 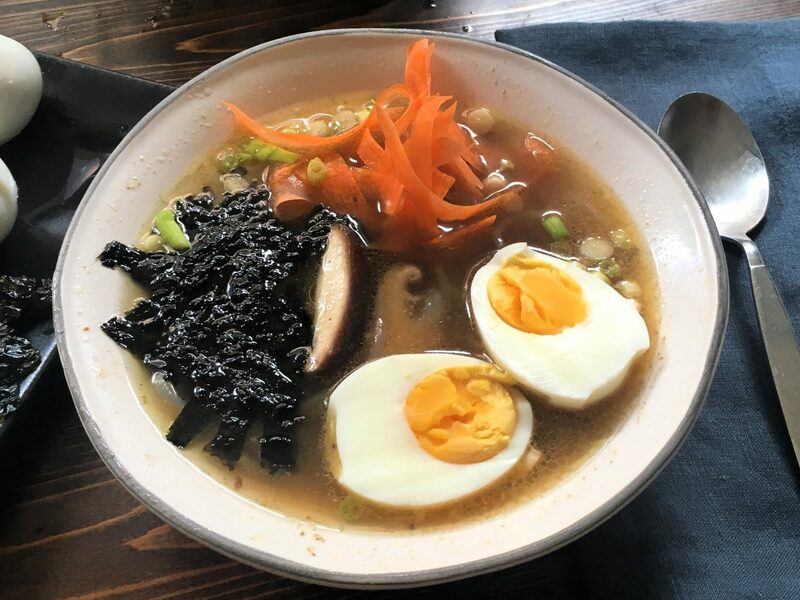 You certainly can make actual stew with it, but the meat also lends itself to mexican dishes, like this soup, really well. If your meat comes pre-cut up in 1-inch cubes (like ours does) then you don’t even have to thaw it… just set it down on top of your sauteed onions in this recipe, dump the taco seasoning and tomatoes over it, and set the Instant Pot to high pressure – 35 minutes. Then carry out the recipe as you would on the stovetop. 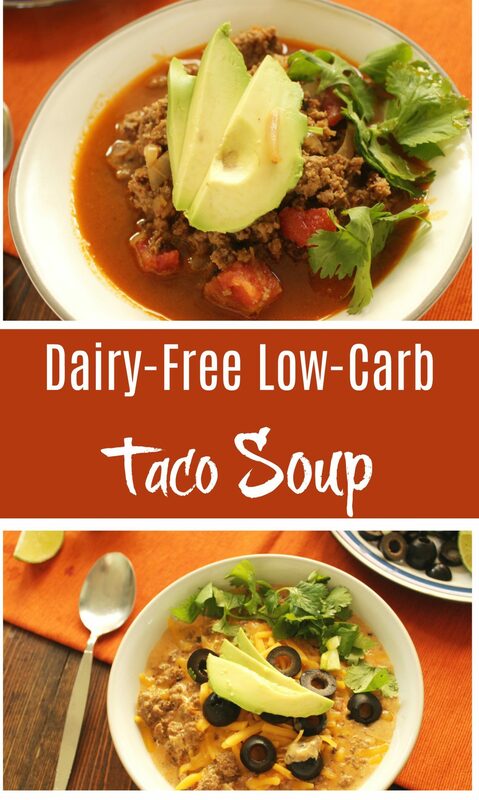 This taco soup is so yummy and fast to put together! It uses pre-made ranch dressing, or you can make your own. Instant Pot/Stew Meat directions: If your meat comes pre-cut up in 1-inch cubes (like ours does) then you don't even have to thaw it... just set it down on top of your sauteed onions, dump the taco seasoning and tomatoes over it, add in 1 cup of the chicken broth, and set the Instant Pot to high pressure - 35 minutes, naturally allow the pressure to release for about 5 minutes, then use the quick release. Then carry out the recipe as you would on the stovetop. If your stew meat does not come cut up, thaw and cut into 1-inch cubes, brown a little bit as directed for the ground beef, and cook under pressure for 15 minutes and then allow the pressure to come down naturally for 5 minutes, and use quick release for the rest. After cooking the stew meat, tomatoes, and taco seasoning under pressure, return to saute-medium and add in the stock. Simmer over medium heat for 20 minutes. Stir in the ranch dressing, or reserve and add at the table. Add salt and pepper to taste. Serve, garnishing with sliced green onions, olives, cilantro, and avocado.